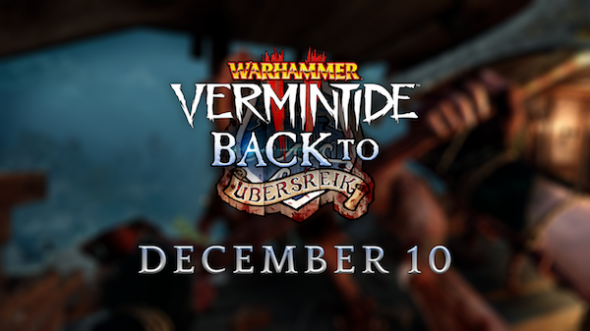 Fatshark is pleased to announce the upcoming release of Ubersreak DLC for Vermintide 2. By popular demand the team has remastered several maps from the first game and brought them up to the standards of Vermintide 2. These maps didn’t just receive a graphical update but are now also equipped with the new features that were introduced in Vermintide 2. If you’re not familiar with the Vermintide series, you’re basically an exterminator of some seriously dangerous vermin in a fantasy settings. The game can be played solo or in co-op and features several characters such as a mage character and a dwarf warrior in a first person perspective. You can read an interview with Daniel Platt, a level designer at Fatshark here or dive right into our review of Vermintide 2 right here.